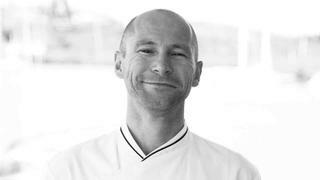 The passionate rebel: Sebastian Springer, chef of 44.5 metre superyacht Harle. 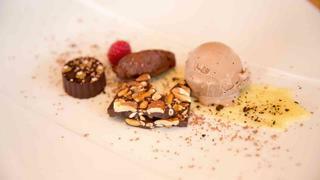 Chef Springer's multiple-element Chocolate Decadence pudding. Last year's Culinary Contest at the Antigua Charter Yacht Show (4-9 December, 2018) challenged chefs to produce a New Year's Eve dinner party to preference sheet of strict dietary requirements. The winner of the middle size category – yachts 126–159ft (38.4 metre to 48.7 metre) –Sebastian Springer tells Sophia Wilson about this route to success. After embarking on a career in marketing management, Sebastian Springer performed a U-turn and, against his father’s wishes, followed in his footsteps as a chef. Having spent nearly a decade on superyachts, the German-South African chef had to fulfil a brief for a 1920s-inspired coeliac-friendly dinner party. 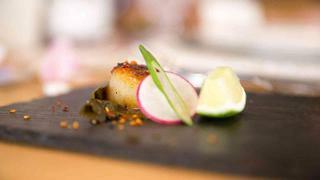 Highlights of his meal included an amuse-bouche of seared scallops with kimchi, and a K2 beef fillet served with a peppered glaze and truffle. "This win is for my father. He always wanted me to “work with my head rather than my hands” but I went into cookery anyway. He passed away when I was 23 so this one is kind of for him – even if it is just to stick it to him! I had two cameras set up so that I could watch the judges from an iPad in the galley while I was working. I was trying to beat the clock the whole time. I had a pre-set starter and dessert which just needed final touches, so I got to concentrate on the K2 fillet, which was the main presentation. I have never considered food a competition. To me it is like art or music: how do you judge someone to be better than someone else? The world is getting healthier. The approach of “butter, butter and more butter” is dead. If you eat fresh and healthy you live longer. This is especially relevant when you are cooking for the wealthy, who, of course, want to live life to the fullest. It was a shock when I first started working on yachts because at a restaurant you get to write the menu and essentially tell people what they want to eat. But when you are on board you have to make what is asked – from pizza at 4am to the finest food possible. Harle is available for charter with Northrop & Johnson, with a weekly charter rate starting from $225,000.